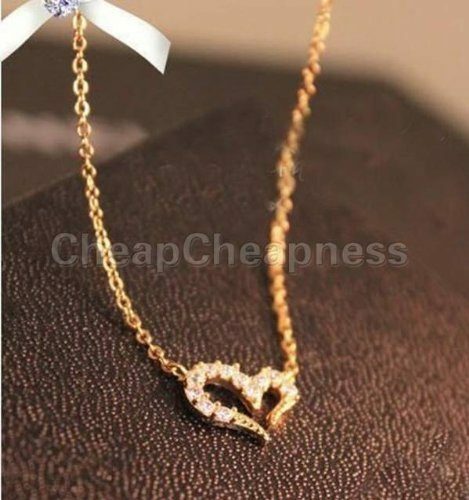 Rhinestone Heart Necklace Just $0.48 + FREE Shipping! You are here: Home / Great Deals / Amazon Deals / Rhinestone Heart Necklace Just $0.48 + FREE Shipping! Head over to Amazon and get this beautiful Rhinestone Heart Necklace for just $0.48! And, to make it even better – shipping is FREE! Choose from silver or gold.